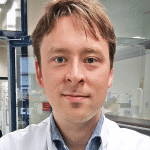 Dr. Vermeulen is a Principal Investigator at the Center for Experimental Molecular Medicine at Academic Medical Center, Amsterdam, The Netherlands, where he is focusing on the role of stem cells in colorectal cancer development and progression. He aims to develop improved preventive strategies and novel, more effective therapies for this disease by studying the effects of genetic mutations on the behavior of stem cells in the gut. Dr. Vemeulen received his MD and PhD from Academic Medical Center, Amsterdam, University of Amsterdam and completed his postdoctoral studies at University of Cambridge, United Kingdom.